Many new cars are failing their very first MOT despite being just three years old, a BBC Freedom of Information (FOI) request has revealed. Who is to blame? 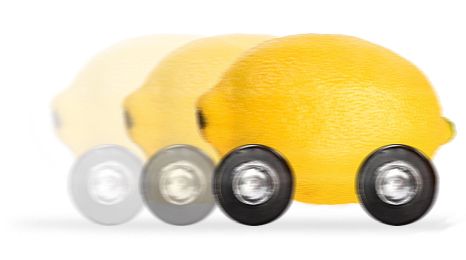 How do you know when you've bought a lemon? When you take your car for its first MOT and it fails. 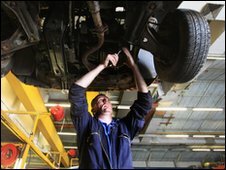 A BBC Freedom of Information (FOI) request has revealed many best-selling cars are failing their very first MOT despite being just a few years old. Figures released by VOSA, the government agency that oversees the test, detail which cars pass, which fail and why. They show nearly a third of Renault Meganes, a popular family car, typically failed their very first MOT, which is carried out on most cars on their third birthday. This may come as an unwelcome surprise if you've shelled out up to £23,000 for one a few years before. But looking at the figures, buying French would appear to be bad for your wallet. Another popular French model, a Peugeot 307, failed 24.7% of the time. In fact, counting just those cars where at least 20,000 were tested, four of the top 10 were French made. 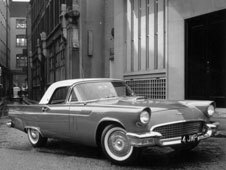 The others were made by Vauxhall and Ford. At the other end of the scale, those that failed the least in this group were Japanese models. Vehicles such as the Honda Jazz, failed their tests 13.3% of the time on average. But is this data enough to sway a buying decision? Autocar's used-car expert, James Ruppert, says the results "confirm the stereotypical views about French cars being problematic and Japanese ones being reliable". "Unfortunately, it makes no allowance for mileage or usage," he says. "A fleet-owned Renault Megane that does 25,000 miles a year will have a much harder life than a Honda Jazz that's used on the school run. "Fleet cars like Meganes and 307s are also more likely to be neglected by their owners than more expensive, privately owned cars." A similar exercise in Germany by VdTUEV, which publishes the results of tests of over 10 million cars, produces a similar picture. German and Japanese cars are at the top, French and Italian at the bottom. So popular is the TUV Report there are plans to publish it in English. The VOSA data, which lists every car and small van tested in 2007, was secured by the BBC's Martin Rosenbaum, 18 months after submitting a FOI request. On his Open Secrets blog he posted the massive data file and invited readers to investigate the figures. It included data not just on newish cars but also old nails, cars that have seen younger days but have racked up huge mileage with little trouble. Some readers wondered whether the data revealed more about the car's owners than the cars themselves. They pointed out that the data didn't include mileage, which could affect failure rates. Something Renault also points out in a statement. "In 2004 the Renault Megane was the second best-selling car in its segment, with a majority of its sales to company fleets," the company says. "These vehicles will do an above-average mileage and it is unfortunate that the data does not take this into account as there are a multitude of reasons why a vehicle can vehicle can fail an MOT, from a light bulb to a tyre, that relate to use and maintenance." The MOT is essentially a test of road worthiness. It checks whether the lights and indicators work, if the brakes are up to scratch, the tyres have enough tread on them and whether the windscreen is sound and the wipers working. A chipped windscreen or worn out wiper blade can fail a car, as can brakes that don't stop the car in time, or worn tyres that have not been replaced. Many of these faults, Mr Rosenbaum's readers argue, are down to the owner failing to maintain his car rather than the vehicle maker. In fact, it would appear that the pass rate for many of the vehicles may be worse than first appears. This is because VOSA double counts the pass rate where a minor fault is fixed by the testing station. This is typically for fails relating to a dodgy wiper blade, worn tyre or dead light bulb. If you recalculate the data after stripping out the double counting for various cars, their failure rate rises. For the Vauxhall Corsa, another car that frequently failed its first MOT, its failure rate rises from 24.7% to 28%. This is worked out by estimating the double counting as half the number of fails for windscreens, tyres and lights. Notwithstanding this, Bill Duffy, a trained MOT tester, says the majority of cars fail for faults that are linked to maintenance. As chief operating officer for Nationwide Autocentre, a garage network that conducts 250,000 tests a year, he's had plenty of experience of testing cars. "Nobody makes a bad car these days," he says. "It's very much down to the motorist and how they look after the car. Some of the vehicles we see are presented in shocking condition." Longer service intervals and better made vehicles encourages some people to believe they need do little to maintain their car between trips to the garage, he adds. As a result, many owners don't realise that "their tyres are worn out and brakes are down to the rivets". Mr Ruppert agrees, though he also says some car manufacturers don't build cars to last. "Built-in obsolescence does play a role in manufacturing these days. 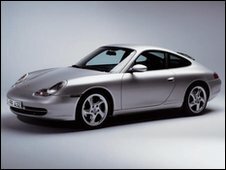 After all many people only want a car for three years, and then they'll go and buy another," he says.